On 5 February 2013, H.E. 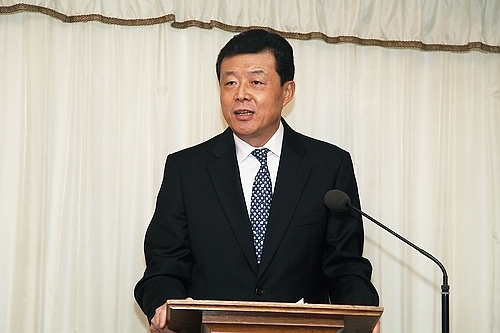 Ambassador Liu Xiaoming attended the Chinese New Year Reception hosted by the All-Party Parliamentary China Group (APPCG) at the Palace of Westminster. 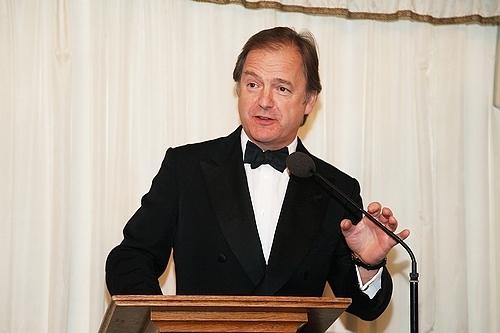 Over 150 people attended the reception, including Mr. Hugo Swire, Minister of State at the Foreign & Commonwealth Office, Mr. Richard Graham, Chairman of the APPCG, Lord Clement-Jones and six other Vice Chairs of the APPCG, Lord Nathanael Ming-Yan Wei, Chairman of the All-Party Parliamentary Group for East Asian Business, dozens of MPs, and other celebrities from the political, economic, educational and cultural sectors of the UK. In his speech, Ambassador Liu said that it was a real pleasure for him to join the APPCG again. It is the third consecutive year he has had the honour of being the guest at the APPCG Chinese New Year Reception. He said, “In a few days time the Spring Festival in China will start. As you will know each year has a symbol and the coming new year is the year of the Snake. In Chinese mythology and folktales, the snake, known as the “little dragon”, conveys quite a number of positive messages. It is symbolic of longevity. We believe snakes live as long as tortoises. It is also highly productive which, for those born in the year of the Snake, give the prospect of having many children and grandchildren. We also see the snake as a guardian of fortune. When the snake is chosen as one of the 12 Zodiac animals, they are given many good qualities. These are examples of the traits of the snake: health, longevity, fortune, luck, prosperity, friendship and love. As the host of the Reception, Chairman Graham thanked Ambassador Liu for joining this event and for making the warm speech, which helped them know the implications of the year of the Snake and gain new insight into the Sino-British relations. He said that the purpose of the All Party Parliamentary China Group is to build a platform to promote Sino-British cooperation in the political, economic, trade, cultural and other fields, and help the British MPs who have great interest in China gain better knowledge and understanding of China through exchanges. The APPCG will insist on this principle and try to promote the development of Sino-British relations in the future. Guests from all walks of life of the UK said that Ambassador Liu’s speech helped them learn more about the implications of snakes and the year of Snake in the Chinese traditional culture, and raised their confidence in developing mutually beneficial and win-win cooperation relations with China. They sincerely hoped that the friendly exchanges and cooperation between the two countries would embrace a new chapter in the year of the Snake and they were willing to make a contribution for this. 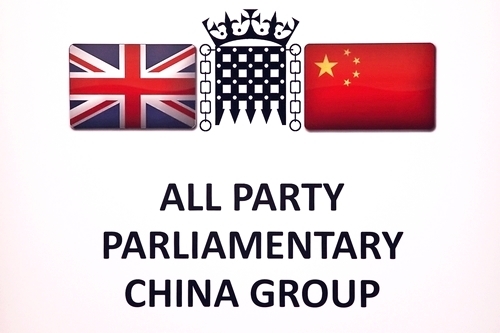 With nearly 400 MPs as its members (from both the House of Lords and the House of Commons), the All-Party Parliamentary China Group is the 2nd largest among the 126 country-based All-Party Parliamentary Groups, next only to the All-Party Parliamentary Group for the United States. 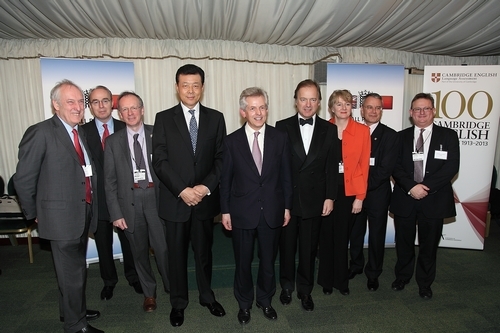 In 2006 the APPCG and the China-UK Friendship Group of China’s National People’s Congress signed a memorandum to establish a mechanism for regular parliamentary exchanges between China and the UK. Up until now, four exchange activities have been held under the mechanism.